As the seasons change, birds all over the planet are on the move. Whether it’s to get to their preferred breeding grounds, to find more food or to seek out a warmer or colder climates, many species travel throughout the year. Some species travel thousands of miles to different climates, while others shift just a few miles. Read on to learn everything you need to know about migration. 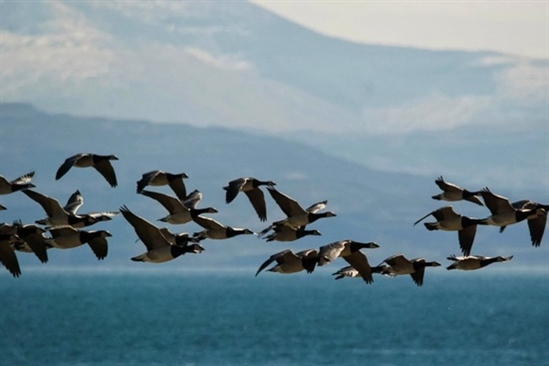 Why does bird migration occur? What causes bird migration? Birds migrate for many reasons, some travel for warmer climes, some for colder. All birds have different requirements for breeding, food, temperature, shelter. One climate might suit them for breeding but be too hot to too cold for the rest of the year. Some move with the food availability. Not all birds of a species will migrate. 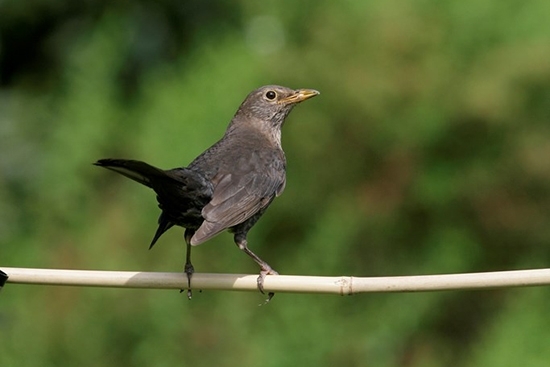 Some species, such as blackbirds and robins, are known as partial migrants. Some blackbirds will migrate while others will stay put. Available territories and food supplies all play a part in whether or not a bird will migrate. - Why do birds fly in formation? Where do birds migrate to? Birds travel along well-worn routes known as flyways. Birds don’t just fly at random. They follow routes, led by other, more experienced birds or travelling using instinct. They repeat the same routes year after year. These routes are called flyways, and they crisscross the globe like vast avian motorways. 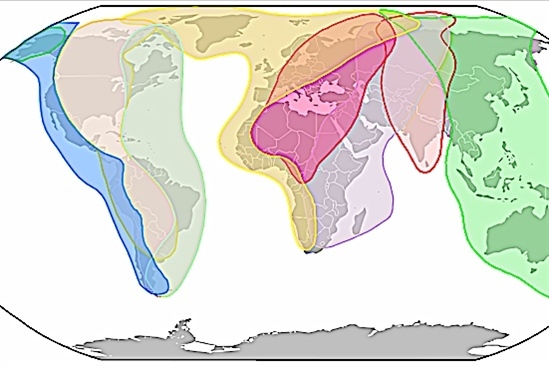 There are eight flyways, the Pacific Americas (blue), Central Americas (orange), Atlantic Americas (light green), East Atlantic (yellow), Black Sea / Mediterranean (pink), East Asia / West Africa (purple), Central Asia (red) and West Asia / Australasia (green). Most migrants are faithful to the same routes and use the same stop off sights every year to refuel and rest. Want to learn more about any of the terms used in this blog? Take a look at our migration glossary. 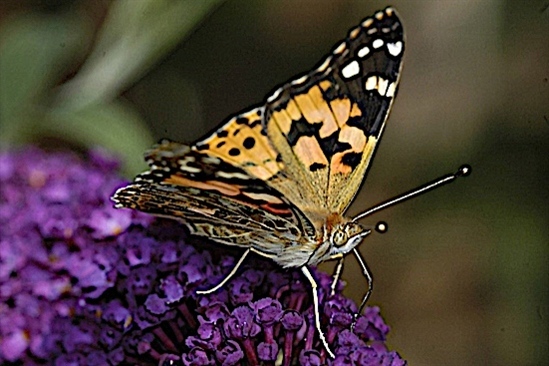 Migration often occurs with the change in the season, bolstered by hormonal prompts. Birds will fatten up before the journey, foraging relentlessly. If they’re not in peak physiological condition they may not make it. Perhaps surprisingly, many species travel at night. At night fish and squid tend to come to the surface, so seabirds on migration can feed on the wing. 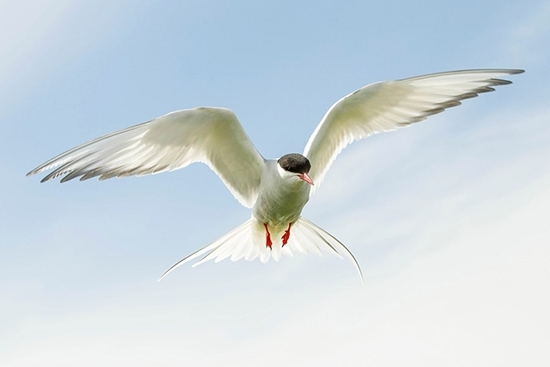 Seabirds can also drink seawater, removing the salt using gland situated below their eyes. 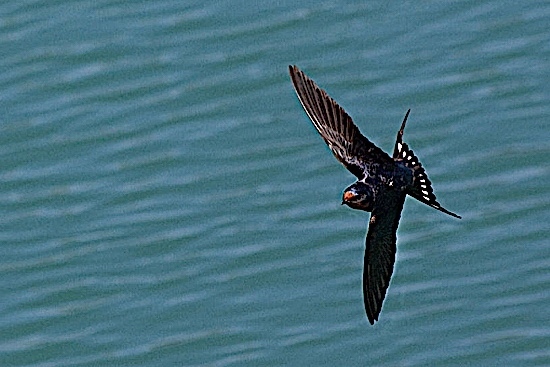 Birds traveling over vast oceans use magnetic fields, the sun and stars to navigate. In a lot of species adults will leave before the youngsters, meaning that these young birds may instead use innate migratory senses to navigate vast distances. How does weather affect bird migration? Birds will wait for favourable conditions – clear skies and light winds are ideal, preferably with tailwinds. Rain, mist and strong winds are dangerous. Rain will soak their feathers, forcing them down, while mist and fog will disorientate them. An opposing wind will slow them down and use up precious energy. Learn more here. Birds that get lost are called vagrants. They are birds that turn up places that are off their migration route. This may be a young bird that got lost or a bird that was blown off course by bad weather. Migration is a dangerous business. Has climate change affected migration? Yes, some migration routes are changing. 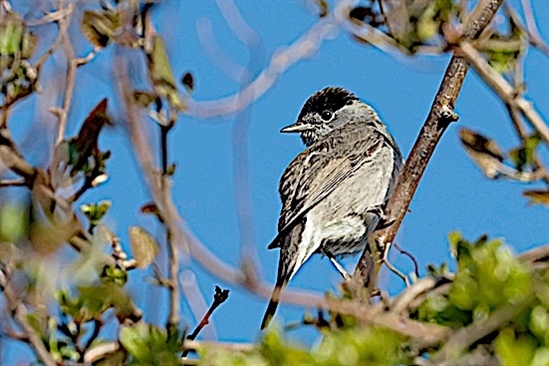 Blackcaps, which used to travel further south, are now stopping in the UK as the climate warms. What is the farthest bird migration? Arctic terns travel on average 30,000 miles from Europe to Antarctica. They travelled a total of 55,900 miles outside of breeding season. In June 2016, evidence was recorded of a tern flying from the Farne Islands to Antarctica, a total record-breaking migration of 59,000. The ruby-throated hummingbird has an estimated flight range of 1,400 miles from the US to Central America. It weighs less than a nickel. The wandering albatross can cover more than 9,000 miles in a single trip. One was tracked circumnavigating the globe in 46 days. Purple sandpipers travel from Canada all the way to Scotland in a single flight that takes around two and a half days. Dark-bellied brent geese nest in Northern Russia. During its lifetime a brent goose will fly the equivalent of 2.6 times around the planet. The entire journey of a bar-tailed godwit is 30,000 miles. It is completed in three non-stop flights over the course of about 20 days flying. The longest of these three flights is Alaska to New Zealand – 11,800 miles. Sooty shearwaters travel up to 40,000 miles a year between breeding ground in New Zealand and feeding sites as far north as Alaska. How long do migrating birds live? The longest lived migratory bird recorded in the UK is an oystercatcher, which was 40 years old. Yes, monarch butterflies travel 2,500 miles from Mexico to Canada and back and painted lady butterflies can travel from the deserts of north Africa to the Arctic circle, a round trip of 9,300 miles. But the globe skimmer dragonfly is considered the insect with the longest migration route, possibly exceeding 11,100 miles from India to east Africa and back. Although the full annual trek is covered by successive generations. Many creatures in the ocean migrate vast distances, and toads and moles also migrate short distances, travelling back to their breeding grounds every year. Want to know more about bird migration? You can learn more about bird migration in our Winter 2019 issue of Nature's Home, which is a migration special!